Visit the Tegalalang Rice Terraces. Much like the rest of Bali's highlights, the rice terraces was tourist-filled but it wasn't impossible to snap a good photo. To enter, you pay a small entry fee, and after walking a short distance, a donation is required to go further. It didn't bother me, and it was fun to walk along this wonder. There are also photo spots here that require further fees which I didn't bother to do because the beauty of nature here was more than enough. 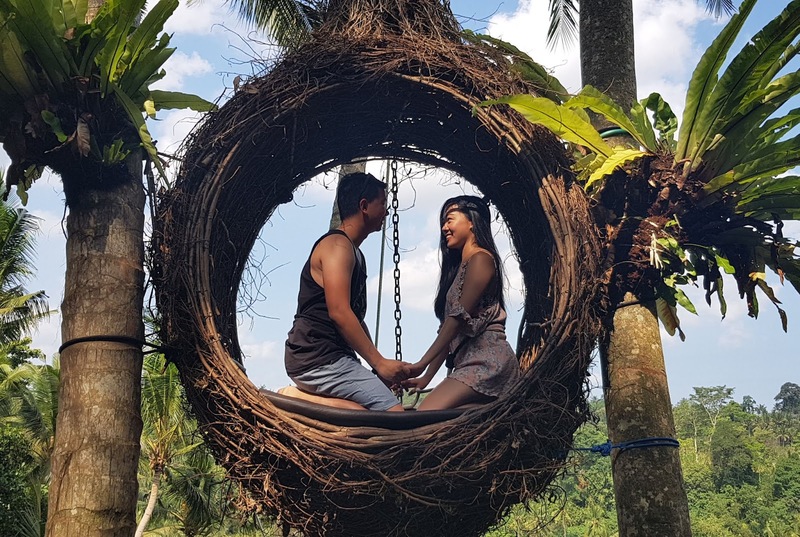 Seek a little thrill and go on an iconic swing overlooking Ubud. Depending on your perception of these swing photos, the activity is not as scary as you imagine.. or is scarier than you imagine. I'll leave it to you to decide when you get there. 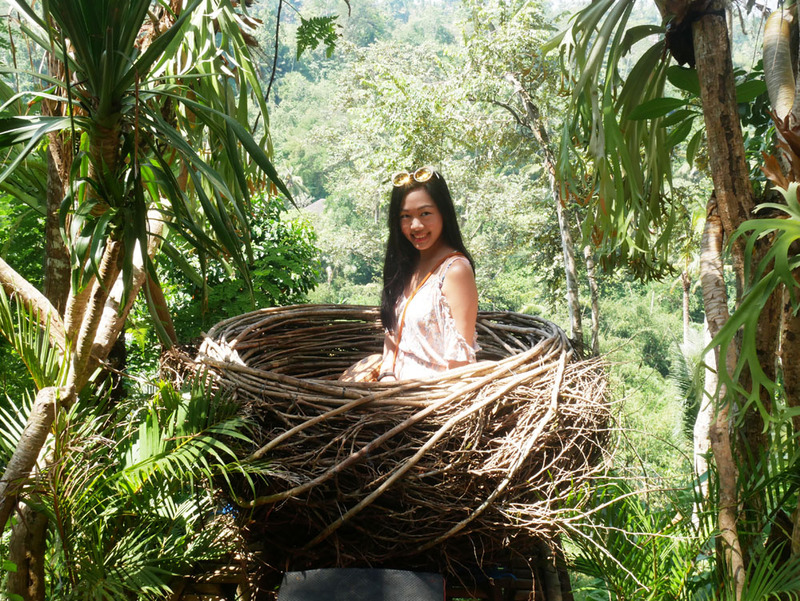 We visited Bali Swing, which I believe was the first of its kind in Ubud. If you choose to visit, I would advice that you go as soon as it opens. It cost USD$35 inclusive of lunch, which was considerably expensive. Go tea/coffee tasting and try the famous luwak coffee. I don't drink coffee. 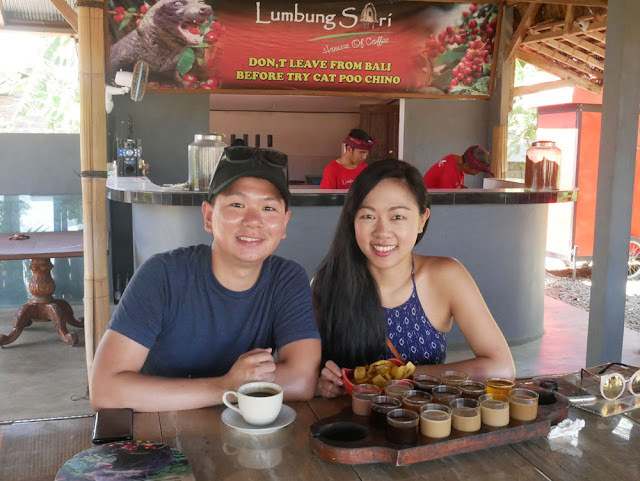 My husband said there was no way he was going to try the luwak coffee, which, essentially, is coffee made out of coffee beans from the luwak's poop. So when our driver suggested the luwak coffee, I was surprised when he enthusiastically said yes. Well, he ended up drinking that cat poo chino. Ha, clever. There are plenty of coffee plantations. Our driver took us to Lumbung Sari where they gave us a mini tour explaining how coffee is prepared, we purchased a cup of luwak coffee, and they gave us a complimentary tasting experience. I've never tasted that many (odd) variations of tea before. My husband quite liked the mangosteen tea. 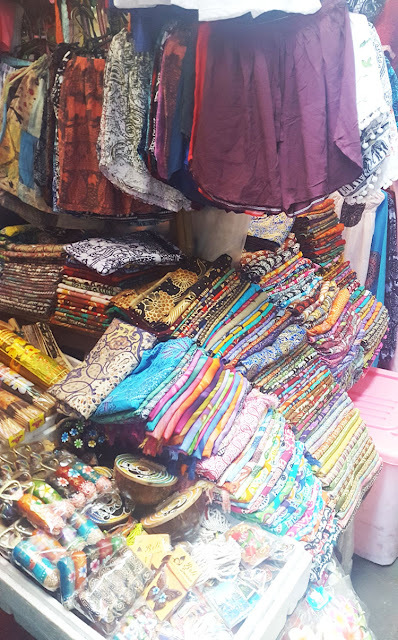 While I absolutely love bargain shopping, haggling here (with some sales people being a bit rude and pushy) was just exhausting. We ended up only buying a few items and only buying from sales people who were nice. While there are plenty of cheap finds, you can also often find cheaper finds along other areas selling the same goods. And if you're tired of haggling, you might find that there are plenty of awesome deals when online shopping instead. A must try! This is their version of the Filipino lechon, or roast pig. 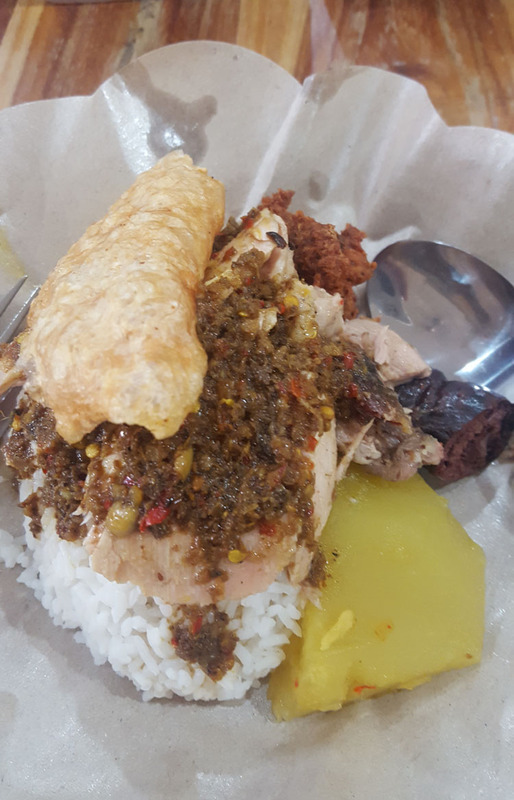 Our driver recommended Ibu Oka for their babi guling and it was so good (and cheap!) that we went there for lunch two days in a row. 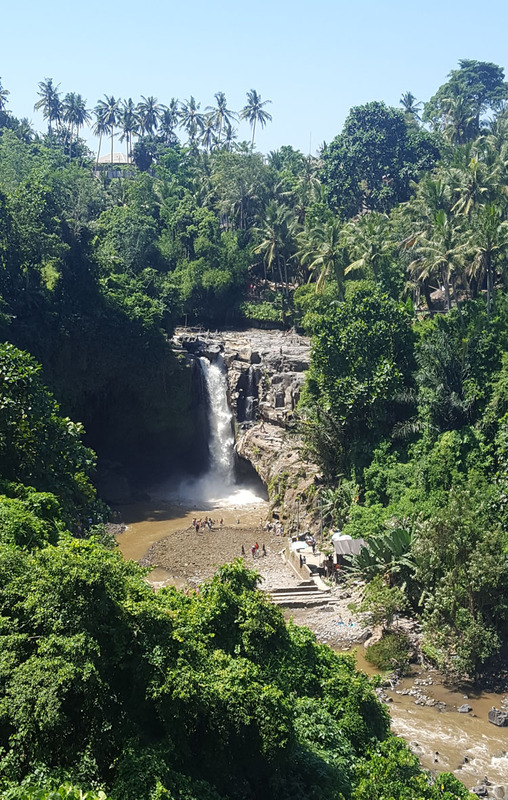 While there are plenty of less crowded waterfalls for you to discover, we had no intention of swimming in them so we went ahead and just visited the most popular Teganungan Waterfalls. A whole lot of stairs involved here, could get you panting a little if you're not very fit, but some cardio would be good to burn off some of that babi guling you overindulged in during your holiday, right? 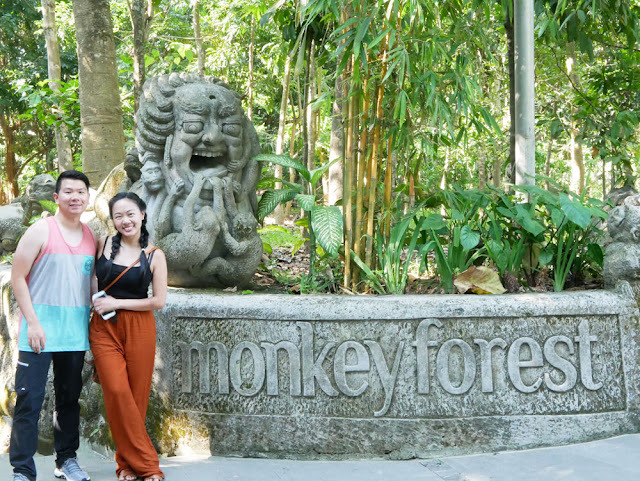 When we were planning this itinerary, we said there was no way we were going to visit places with feisty monkeys as we've heard way too many horror stories from our friends/workmates... so here's a photo of us at the monkey forest. Lol. Funny enough, we did end up there. The forest itself is beautiful. And if you just follow the guidelines and stay away from tourists who don't follow the guidelines, you'll be absolutely fine. 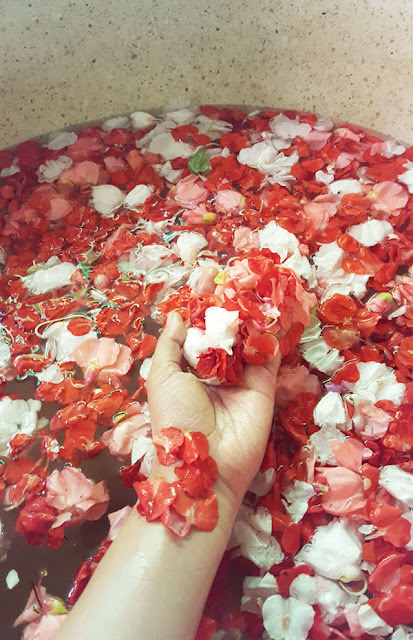 Indulge in a whole day spa treatment at Bali Botanica. Yes, you read that right, a WHOLE DAY at the SPA. Ladies and gentlemen, this is how I spent my 30th birthday - they picked us up from our hotel, began the day by allowing us to choose our scrub, started the day with a whole lot of massaging, a full body scrub, a flower bath, a gourmet lunch, followed by a facial, a hair treatment, and more massages! O.M.G. It was amazing. And when I mentioned gourmet lunch, I meant that for lunch, they brought us to Bridges (one of Bali's most highly recommended restaurants). The food and service there was exemplary. The chef even made me the most delicious lava cake with truffles for my birthday, upon my husband's request. 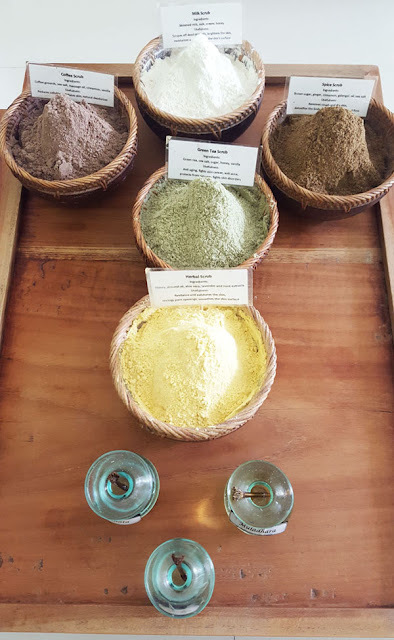 I highly recommend Bali Botanica and Bridges (NOT SPONSORED, honest opinion!). 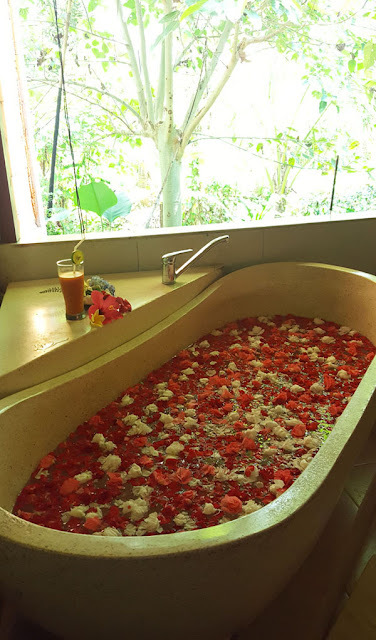 Unplug, disconnect from the world, be treated like royalty at Alam Puisi Villa. 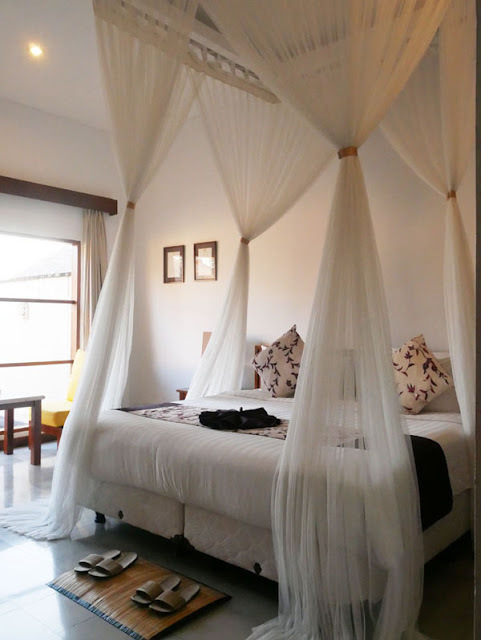 Let me be honest and say that when our driver brought us to this hotel, I got scared that I made a mistake in booking because it was far from Ubud's center. However, this hotel quickly became our absolute favourite from the 4 hotels we stayed at in Bali. We got a villa with a private pool. 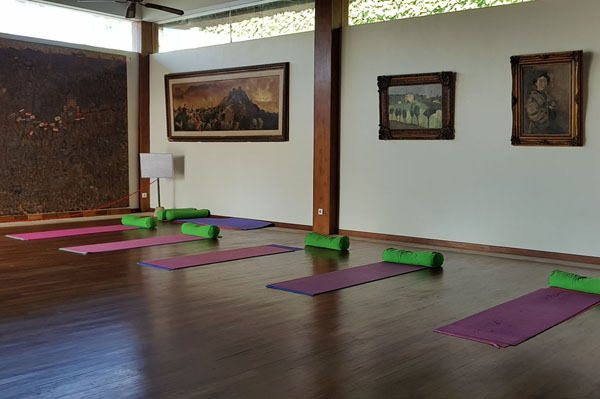 The hotel was high class, the food at their restaurant was exemplary, they even had free morning yoga classes. So guess what, we only left this hotel for a couple hours during the last 2 days of our stay because we just didn't want to leave this hotel. We attended yoga in the morning, had breakfast which was delivered to our room, went swimming in our private pool, took plenty of naps, had dinner at their restaurant.. you get the picture. It was the absolute best way to end our Bali holiday. 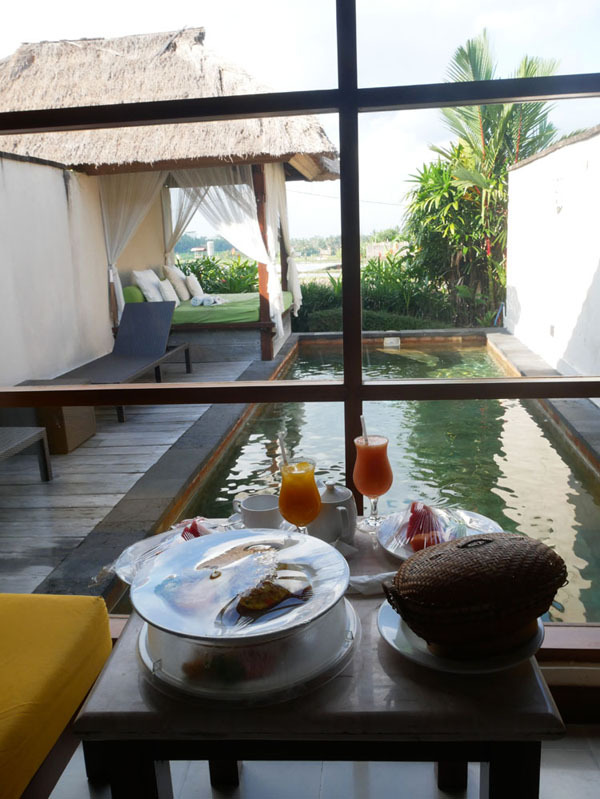 My husband was weary of going to Bali at first but we definitely enjoyed our time there thoroughly. His favourite part of course would have to be all the cheap massages we got. As for me, I loved almost everything about it! Perhaps I'll always be tropical/island girl at heart. Have you been to Bali before? What was your favourite part of Ubud? PS: I am loving the rattan bag and bamboo bag trend lately. Do you have one in your closet too? Nice to finally know how the swing works, I guess you just have to shoot it in an angle that will look like it's scary. Good on you to do a lot of fun stuff in Bali, I guess I have to note these down when I finally get to go there. Ohhh! Everything looks so niceee! So sad about those tourists! People should respect others...specially on vacation when everyone wants to relax. What a gorgeous and fun trip this is dear! I have Bali on my bucket list, especially that swing! Anyway, your photos are so lovely, and you two look sooo cute! The entire day SPA trip must've been amazing! 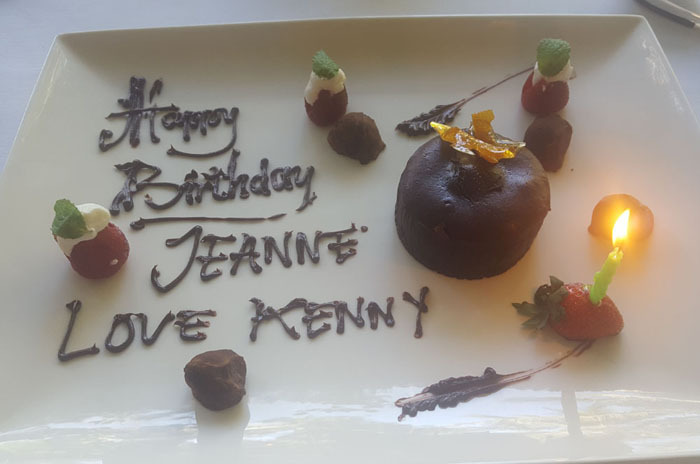 Happy birthday, Jeanine! Also, the pictures looks awesome. It's a shame people on that trip didn't know how to behave, but I hope it was worth the wait. Great photos :) I want to go on this swing. Seems it was wonderful travel. 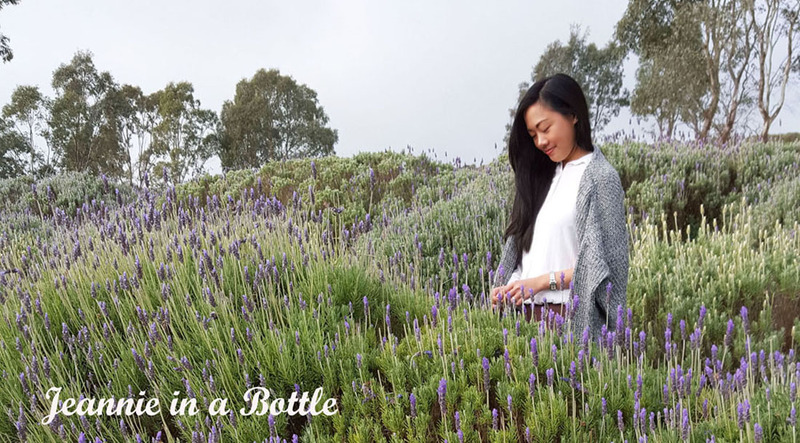 Bali is on my travel list so these tips will be really helpful! Lovely pictures, you sure did enjoy your stay there. All photos are so gorgeous, Bali is the wonderful place. Adorable photos! Woahh love that swing! awwww... you did all the things that are a must, good on you both! Wow this looks like a dream vacation! The spa part is my fave! 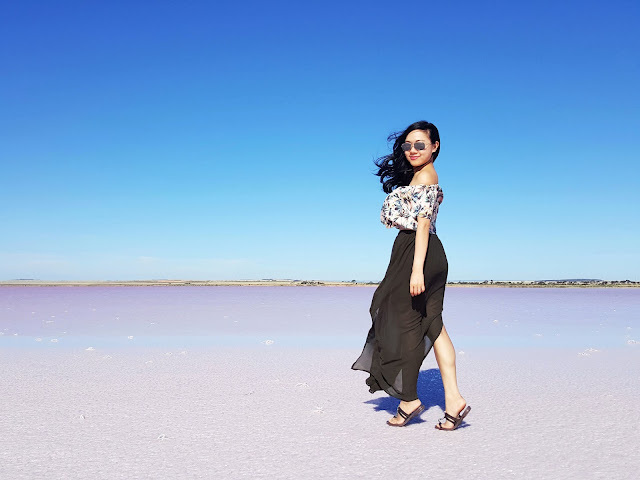 I am a tropical/beach girl at heart too and the pictures and your experiences definitely hit a corner! Bali is most definitely on my list and now getting those cheap massages are added too haha! The rice terraces look amazing! Loving these snaps, gf! wow! I love this looks like an amazing trip! great things to do in Bali. Amazing photos. You're so cute. This sounds heavenly! I hope to visit Bali soon! Sounds like you had a really good time! Loved the last hotel you stayed in! What an incredible experience all around!! I would have done and enjoyed everything you've mentioned!! This looks like such a wonderful trip. That swing in particular looks like such fun! I'm sorry you had to wait so long for it. bali is such a paradise!! Looks like a beautiful place, wow! Wow! This place looks like a dream! :) I love that swing you're on and such a pretty braid in your hair! Ahhhh we're planning to go to Bali next summer! And we will be doing ALL of these things. This looks absolutely magical! Trust me, I will be getting ALL of the massages :). That's seriously my dream (other than spending a whole day at the spa like you did!). This makes me SO excited. You guys look like you had a blast!